This charming detached stone cottage is situated on the outskirts of a coastal village and offers comfortable accommodation for a couple looking for a romantic getaway. The rooms are on the ground floor, but the property is elevated and has some lovely views. 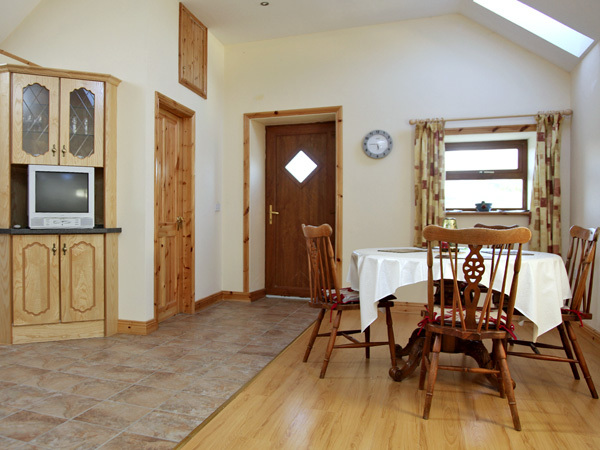 The kitchen is well equipped and spacious with a table that provides ample room for dining and the sitting room is cosy and welcoming with views across to Kenmare. 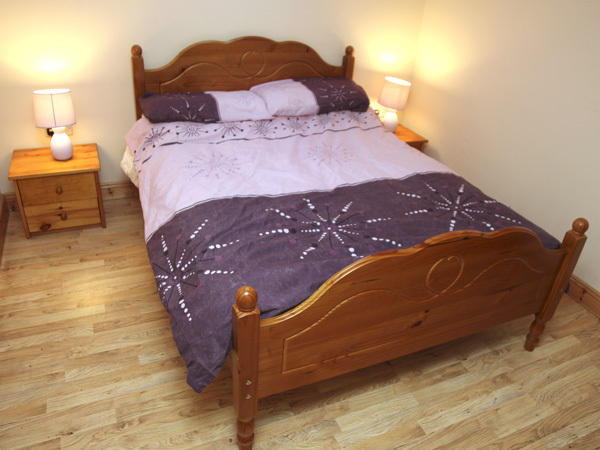 The double bedroom is spacious and tastefully decorated and the shower room is conveniently arranged to be en-suite. 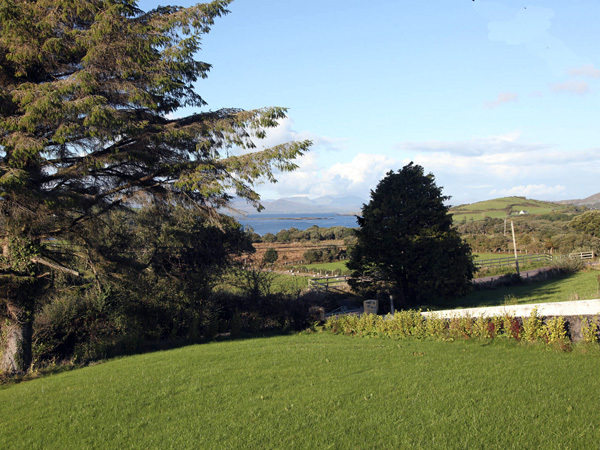 Outside there is a lawned garden to the front of the property with far reaching views over to Kenmare Bay. There is a shop and pub just five minutes walk away and the cottage is the perfect place for a romantic hideaway. Charcoal Steakhouse offers casual dining in a friendly restaurant, the decor is warm and cosy and creates a relaxed atmosphere. They use Irish produce where possible and the best herbs for seasoning their steaks. The menu includes a choice of steaks as well as, surf and turf, salads, ribs, chicken and much more. The steaks are cooked to order and are juicy and delicious and perfectly cooked. If you are looking for the perfect steak there is only one stop being the Charcoal Steakhouse. The Strawberry Field Pancake Cottage is a lovely colourful cottage set in gorgeous gardens that can be enjoyed in the warm weather. During the winter the coal fire provides a welcome retreat. Using fresh local ingredients and a special recipe the proprietor freshly bakes the pancakes when you order. They can also prepare gluten and wheat free pancakes. The menu is vast with both sweet and savoury filling choices, from the usual to delights such as marshmallows, strawberries and chocolate sauce or goats-cheese, pineapple, walnuts, honey and thyme! In addition you can also have a bowl of homemade soup and bread, scones or dutch apple pie. Whatever time of the year it is, a stop at The Strawberry Field Pancake House is a good choice, for great pancakes a warm welcome and lovely atmosphere. 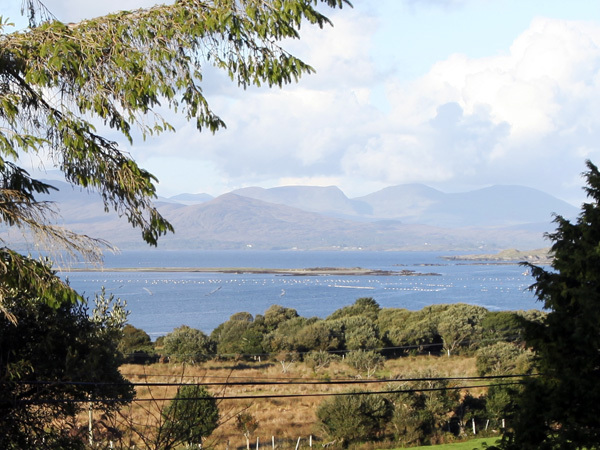 The Bay Restaurant is located in Kenmare Bay Hotel and has amazing vistas of the Kerry Mountains and the town that you can enjoy as you dine. It offers relaxed dining in a warm and welcoming atmosphere, as well as friendly and attentive staff. They use the finest local produce that transforms into some amazing dishes that are tasty and delectable with an excellent wine menu available to further enhance your meal. The relaxed atmosphere, superb food and service at the Bay Restaurant all create a memorable dining experience. Cupan Tae will transport you back to another era of lace and floral tablecloths and when tea was served in a cup and saucer. The interior of the shop is warm and inviting with a curious assortment of mismatched bone china teapots and cups and saucers in dressers that create a lovely homely vibe. It is not only tea they serve which, they have a lot of, more than 30 different types from all over the world but, Cupan Tae also serves a selection of light meals and mustn't forget to mention the delicious range of home baking. Their selection of cakes, pastries and scones is divine. Cupan Tae gives you the opportunity to revive the traditional of afternoon tea, maybe it is time to treat yourself. The Breadcrumb Bakery is a bakery with a difference, it is Italian owned and has a strong Italian influence. Bread is still an integral part of the shop but there is so much more available here, from genuine artisan Italian products to a delicious choice of hot and cold dishes, pastries, scones, muffins, brownies and much more. They bake their bakery goods fresh daily and all the dishes are again made in house fresh daily using local or authentic Italian ingredients to bring you the best quality and taste. The Breadcrumb Bakery is the perfect place to stop whatever the reason whether it is a quick coffee or a leisurely lunch, you will be rewarded with great food, friendly staff and a warm and welcoming atmosphere. Bella Vita is a delightful authentic Italian restaurant that offers casual dining in a relaxed and welcoming atmosphere. They are passionate here about creating a moment to remember and treasure so whether dining with friends or family they strive to ensure your visit is one that you will recall fondly. The ambience, friendly staff and customer service all lend a hand in this but, the shining star here is the food. It is like tasting a little bit of Italy here in Ireland, the care and attention given to each dish results in mouthwatering food, with heavenly aromas, everything is so flavoursome and so tasty. To accompany your meal is a fine selection of wines. Bella Vita is a first rate restaurant with superb food, staff, service and atmosphere. The Lime Tree is a notable restaurant in Kenmare owing to its highly regarded food that attracts customers from all over. Housed in a charming historic building with exposed brickwork, wooden floors and subdued lighting it creates the optimum dining experience of relaxation and comfort. The restaurant is fronted by a highly talented and passionate chef and his intensity transfers to the food. Using the the best of the fresh, local and seasonal produce, he has created a menu that is innovative and elegant and truly showcases Irish cuisine at its finest. The result is a dining experience that is perfect, from the lovely surroundings, the luscious and tantalising food, complimenting wine list, and not least the superb customer service. A truly unforgettable dining experience. Truffle Pig is a lovely warm and welcoming cafe, it has a pretty decor and has on display a selection of products you can buy to take home. The philosophy here is to serve fresh home cooked food made using the best locally found ingredients where possible. They also have given considerable consideration to their suppliers of artisan cheeses, olives, salamis and more to ensure premium quality. With all bread, cakes, savouries and hot meals made fresh daily on the premises there is no denying the freshness and incomparable flavours and tastes of their products. Truffle Pig is a lovely place to come whatever the reason, you are assured friendly service and delicious food. The Horseshoe is a welcoming and cosy bar and restaurant, it has a great reputation for the fine food it serves. The staff are very friendly and will ensure your visit is a good one. Due care is given in sourcing the ingredients with the best of local fresh produce being selected. The result is dishes that are appetising and flavoursome, as well as being beautifully presented. The steaks and ribs are a speciality here but, everything tastes and smells so good, the biggest problem is choosing what to have. The Horseshoe brings fine cuisine to relaxed and casual surroundings where, you can really enjoy your meal. P.F. McCarthy's is one of the oldest pubs in the town and continues to be very popular with both locals and visitors to the area. It has a strong prominence of being a great music venue hosting music nights of all genres which further contributes to the lively atmosphere of this pub. The restaurant offers casual dining in comfortable and welcoming surroundings. The food is really good with an emphasis placed on serving good home cooked food that is tasty and value for money. The menus have plenty of choice and there will be something to appeal to everyone. P.F. McCarthy's is the perfect venue for a night of drink, food and music in friendly and lively surroundings. No 35 is an impressive and delightful restaurant, it has a charming interior with exposed brickwork, wooden floors and subdued lighting creating a relaxing and cosy ambience where one can sit back and enjoy their dining experience. What separates No 35 from other restaurants is their commitment to use fresh, local, seasonal, organic and wild produce in their kitchens. This passion is transferred to the preparation and cooking of these fine ingredients to create dishes that are bursting with flavour and intensity. No 35 is the venue to go for a memorable and thoroughly enjoyable dining experience. Tom Crean Restaurant has strong historic ties to the region not least the building it is in, which was built back in 1800's. It is a intricate building that is full of alcoves and dens where you can sit yourself and take in the warm and hospitable surroundings. The speciality here is fish with all products being caught locally, the lobsters and oysters can be taken straight from the tank! they also insist on local organic produce where possible. If you are a meat eater or vegetarian don't worry their menu caters to you too, it is a diverse and interesting menu that showcases the flair and creativity of the chefs. The food they serve is a both tasty and flavoursome and the customer service is very good. Tom Crean Restaurant is both interesting with it's history and delicious with the amazing food they offer, a thoroughly enjoyable dining experience. Larkins is in a splendid location with views to match the food and an accolade of awards to compliment these. Close to the edge of Loug Derg, this traditional pub has a relaxed and welcoming atmosphere and is popular with both locals and visitors. All food is sourced from Irish suppliers and thereby ensures freshness and quality that is evident in the food that is served. With varied and interesting menus, food is served throughout the day and there is something to appeal to everyone. With weekly live music sessions it is a great dining experience. Barleycove Beach is a Special Area of Conservation (SAC) as described under the European Habitats Directive. This area includes pristine natural landscape that supports a wide range of wildlife. The area has produced some of the best photography of any Irish region. Numerous terrain features are covered, including a lagoon, salt marsh, dunes, board walk, pontoon bridge and tidal stream. The Beara Way Walk is a vigorous journey that holds many natural delights for the ambitious adventurer. This long distance journey covers the peninsula which is home to many archaeological and historical landmarks. These can be discovered along the way. The path also runs along the towns of Castletownbere, Glengarriff and Kenmare. Sunfish Explorer Kayaking Tours give the ultimate kayaking tours using their MOKAO kayaks which are designed for exploring. The MOKAO kayaks are motorised and are fast and stable and ideal for beginners and experienced users alike. Reaching speeds of up to 17mph you can explore the local area far faster and easier than with a normal kayak. Located in the incredible surroundings of the Derrynane National Historic Park, Eagle Rock Equestrian Centre is one of the oldest equestrian centres in Ireland. Visitors can take tuition on horses and ponies provided by the centre and qualified instructors are available to offer advice and help to riders of all levels. Skellig Tours are run by John O'Shea who daily travels to the Skellig Islands from Derrynane harbour. The tour itself gives you views of the Scariff and Deenish Islands and the wildlife on them before stopping off on Skellig Michael, a UNESCO world heritage site and home to a 1,500 year old monastic settlement. Waterville Golf Links showcases the mystical beauty and allure of the local area. The grounds have earned a place among the top five golf courses in Ireland and the top 20 in the entire world. Relax in the club house, which includes golf themed decor and an inviting restaurant and bar. Kenmare Golf Club offers an excellent balance of beautiful scenery and challenging obstacles. Golfers can admire the picturesque view which includes lush greenery, trees and sparkling waterways. Located in South Kerry, the grounds include a refurbished club house that offers many modern conveniences without changing the timeless appeal of this verdant course. Cut through the water any way you like with Skelligs Watersports. A wide range of wet and wild activities are offered, including kayaking, windsurfing and surfing. Parents can also appreciate the kid's summer camps which are offered regularly. The camps offer child-friendly fun such as raft building, surfing, ultimate Frisbee, paddle races, kayaking and sand castle building. Bantry Pony Trekking gives visitors and residents a unique way to explore the countryside. Visitors of all ages and riding skill level are welcome to book a session. Groups remain small and include an experienced guide to ensure safety. Protective gear is also provided and each journey starts in an enclosed riding arena so guests can receive proper instruction. Final Furlong Riding Stables provide horse riding experiences for people of all ages and level of skill. Rides can be 1,2 or 3 hours and can go through local rural locations or down to the shore and along the beach. 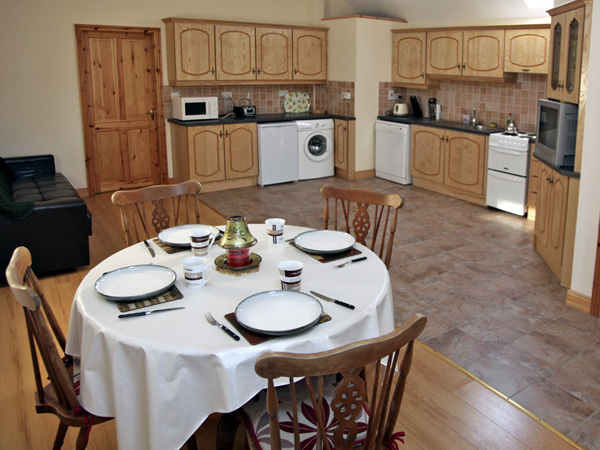 If you need somewhere to stay Final Furlong also offer a comfortable and welcoming bed & breakfast. Designed by Peter Hackett, the Killorglin 18-hole course is popular for great views to match the great course. On one side of the course lie the Macgillicuddy Reeks Mountain Range while on the other side is Dingle Bay and beyond that the Slieve Mish range - whichever way you look there's a great view. Aquaventures Dive Centre takes visitors deep under the waves to see a whole other side of Ireland. The services offered are extensive and include courses for beginners and advanced divers as well as boat and diving charter options. Animal lovers won't want to miss the coastal eco tours which showcases many native marine animals and birds. Baltimore Yacht Charters provides many unique opportunities to see the sites off shore in Ireland. Visitors can book skippered charter which includes a 50 foot yacht equipped with a hostess and skipper. Bareboat charters are also offered with different seacraft (available boat models are based on the individual's sailing experience). Glengariff Woods is a beautiful example of the wild lands of Ireland. The name is derived from words that mean "rugged glen," which describes the region well. Much of the area is old oak growth with younger woodlands regenerating in some parts. The woods once belonged to the estate of Lord Bantry but was given to the state for forestry use in the 1950s. 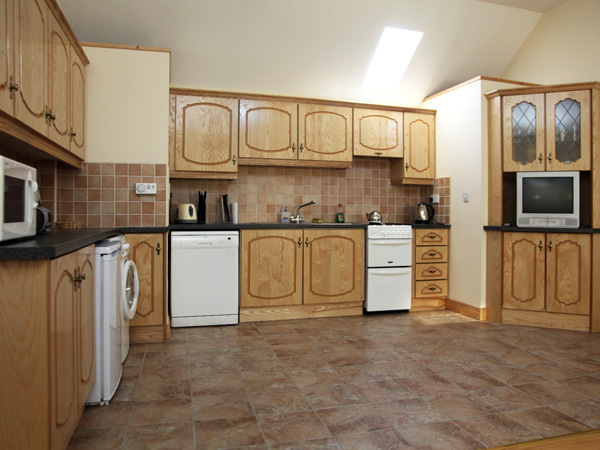 Derreen Gardens includes a spacious 60 acres of green space. A network of more than 12 km of walking trails covers the area, providing a convenient way to see as much as possible. Varied woodland and mature growth covers the landscape including a number of rare exotic plants that were transplanted from the Himalayas. Kells Bay House and Gardens is a beautiful place with a hint of exotic charm. Explore the verdant gardens which cover approximately 17 hectares of land. The species found here include sub tropical plants. 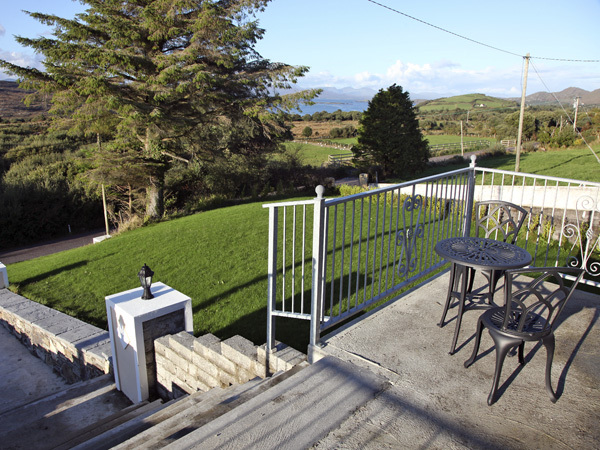 Enjoy stunning views of Dingle Bay while admiring the gorgeous landscaping. Plants are also available for sale as well as carvings and paintings. Botanists and plant enthusiasts must pay a visit tot he Glanleam House and Subtropical Gardens. This Valentia Island attraction features a vibrant array of exotic plant life in a rainbow of colours. Enjoy a tranquil walk through a gorgeous natural setting. Don't forget to look beyond the garden to admire stunning views of the nearby bay. The Mill Cove Gallery invites visitors to explore a wide range of beautifully crafted items. This unique attraction features sculpture, ceramics, painting and print pieces. Experience the work of many skilled and renowned artists and find inspiration with breathtaking themed exhibits. Visitors should check the gallery's schedule to see what will be on display when they stop by. The Sarah Walker Gallery presents a stunning collection of fine art created by one of the country's best artists. The facility can be found in Castletownbere, County Cork and offers year round exhibits that showcase the amazing talent of Ms. Walker. Many of her creations feature natural subjects found throughout Ireland. Anyone with a sweet tooth will not be able to resist the temptations found at Issie's Handmade Chocolate! This tasty landmark features mouthwatering confections that offer the finest flavour. Visitors can sample handmade chocolates as well as delectable ice cream. Enjoy a few tidbits and don't forget to add some extras for the trip back home! Sneem Art Studio showcases the work of Anke Peterson, who studied at Bournemouth and Pool College of Art before later opened a studio at St. Ives before later moving to Ireland. Anke Peterson has had exhibitions in Berlin and London and her work is now available to view in County Kerry. Dursey Island is a beautiful destination that will captivate from the moment you arrive. A cable car delivers passengers to the island and is the only one of its kind in the country. The cable car also accommodates the occasional cow, sheep or other livestock when necessary. Don't forget to prepare your camera because there will be numerous photo opportunities as you explore this charming landscape. Gleninchaquin Park is a sweeping natural region full of stunning views that will captivate the mind as well as the eye. The area includes many majestic land features, including a 140 metre waterfall and sprawling woodlands as well as the Kenmare Bay. Visitors can walk, fish, bird watch and explore a working farm and heritage sites along the way. McCarthy's of Kerry offer sightseeing tours for those that want to see the best that Ireland has to offer. Visit important historical sites and discover how people lived in Ireland hundreds of years ago. Travel in the luxury of a coach or take a boat trip to see nearby Ireland. Contact McCarthy Tours for more details. The Tech Amergin Community Arts and Education Centre nurtures creativity. Seasonal workshops are offered that cover a wide range of topics from local marine life to choir singing and guided photography walks. Exhibits are also presented at the centre. Visitors should contact Tech Amergin to learn more about upcoming exhibits and workshops. The Ewe Sculpture Garden is a unique place that will move and inspire! Immerse yourself in an amazing world of natural settings accentuated by exquisite manmade art. The grounds include a stunning waterfall oasis with a number of original pieces that can't be found anywhere else. Visitors should plan to spend several hours in this one-of-a-kind place! Cape Clear Ferry is available to help visitors explore this beautiful island. The boat departs from Baltimore in West Cork. Passengers can enjoy an invigorating ride along the waves as well as a spacious viewing deck that is a great vantage point for spotting dolphin and whale. Visitors should check the current time table for schedule information. The Molly Gallivan's Visitor Centre provides visitors with a unique look at a simple country lifestyle in Ireland. An audio-visual presentation is offered along with quaint scenery that welcomes guests to learn more about the days prior to electricity. Molly's cottage has survived more than 200 years and continues to provide visitors with a wonderful place to explore. Enjoy open air, rippling surf and lots of fun with Skellig Boat Trips! Day excursions are available that take visitors through natural regions that are rich in marine wildlife. Billed as the "fastest service to Skellig Islands", the boat trips depart from Ballinskelligs Pier daily and provide a rare chance to climb all 600 steps that lead to an ancient monastic settlement positioned atop Skellig Michael. The privately-owned Bantry House and Garden invites visitors to enjoy a stay of this fascinating landmark. Overnight accommodations are offered during certain times of the year. Visitors can also book space for events or visit the elegant tearoom for a homemade meal. The grounds are breathtaking and serve as a reminder of the beauty and grace of Ireland. The Sheeps Head Peninsula is a popular attraction in West Cork, Ireland. Visitors can explore beautiful water side scenery on foot. The area also includes the Seamount Farm House which features a seventh generation farmhouse and traditional stone buildings. Beautiful gardens create a charming backdrop that captivates the eyes and makes for excellent photo opportunities! Learn more about Ireland's history at the Bantry Museum! This facility can be found behind the fire station along Wolfe Tone Square. Inside, visitors can admire an eclectic array of artefacts and exhibits. See historic items used in everyday life or read old newspapers to explore history as well as local personality. The Catherine Hammond Gallery presents an inspiring collection of contemporary art in West Cork, Ireland. Nestled in a gorgeous area, the gallery features many exhibits that bring unique personality to the experience. Art lovers should not miss this exciting opportunity to see the work of many talented artists in one beautiful location! Cailin Oir Ferry and Cruise Service to Cape Clear Island is the best way to travel while in Ireland. Hop aboard and set sail for this beautiful piece of Irish landscape. The ferry offers many attractive amenities such as the viewing deck and commentary which adds flavour to each journey. Satisfy your sweet tooth, and your curiosity, by visiting Skelligs Chocolate factory! This unique opportunity lets visitors truly experience the chocolate making process. The open plan design allows everyone to watch as skilled chocolatiers produce taste bud tingling treats. A coffee shop is located on-site so guests can enjoy fine tea, coffee, specialty hot chocolates along with homemade desserts and cakes. Explore Valentia Harbour and visit Valentia Island and Begnis Island in an amphibious boat with Valentia Harbour Tours. The boat has a roof and toilet facilities and is a great way to explore the area for young and old alike. See seals and seabirds, a lighthouse and a castle on your trip around the harbour. Whyte Books is more than a retailer: it is a haven for book lovers. The building contains a huge collection of diverse titles along with a cosy atmosphere. Patrons can shop or participate in one of the many events hosted at the store. The setting is one of the most quiet and peaceful available to avid readers. Explore the sky above Ireland at the Schull Planetarium. Operating as a part of the nearby community college, the planetarium is recognised as the only of its kind in the country. The dome stands 8 metres and provides an accurate recreation of the night's sky. West Cork visitors who have an interest in astronomy. The Murphy Sea Cruise provides exciting boat adventures daily. The journey begins in Portmagee located in County Kerry. The trip out takes just under an hour and includes another two hours to explore the Skelligs. See marine birds and other creatures living in their natural environment. The area also contains early Christian landmarks. Casey's Skellig Islands Tours invites travellers to see another side of Ireland. This unique location can be found eight miles out from Portmagee. The proud Skellig Michael towers stand an admirable 714 feet over the water line. Observe amazing marine life including birds and aquatic creatures while exploring this important landmark on a boat tour. Experience the Skellig Islands with the Skellig experience visitor centre. Visit the exhibition which displays subjects including a guide to the history of the Skellig Michaels Early Christian Monastery and exhibits on the sea birds that live on the island and their habitat and on the sea life that surrounds the islands. Geokaun Mountain is one of the highest points on Valentia Island and offers a range of stunning views from three different viewing points - Carraig na Circe, The Shepherd's view and The Miner's view. Enjoy the walk to the top before taking in the views and learning more about your surroundings through the 34 information plaques spread between the viewing points. Wilma's Cheese Factory is based on a farm in Killorglin and produces its own cheeses made with milk from their own cows. Cheeses produced range from the mild to the very mature and include flavourings such as garlic and cloves. Wilma's Cheese Factory also supplies a number of shops in the local area. Gougane Barra Park is a beautiful example of natural history. The area was formed during the Pleistocene Glacian (200,000 to 10,000 years ago). Visitors can explore this wooded area to see the results of man's efforts to work with Mother Nature. See this unspoiled region while enjoying the fresh air and organic beauty of Ireland. Kerry Crafted Glass showcases the wife of skilled artisan Terence Mac Sweeney. This family run business features stunning glass pieces that cannot be found elsewhere. Private glass blowing lessons are offered as well. Visitors may be treated to the occasional public demonstration. Pieces are available for sale from the studio shop. Cleire Goats is a functional farm found on Cape Clear Island in West Cork. Animal lovers, farmers and others can explore goat husbandry through courses led by experienced instructors. Basic instruction is available for those with no experience. All ages are welcome to join in and learn more about goat care. Irish Beg Cookery Courses are available for individuals who want to expand their skills in the kitchen. Visitors and residents can sign up for hands on instruction with a seasoned chef. The facility also includes an organic farm that produces locally butchered organic lamb that customers absolutely love. Other organically produce foods includes fruit, vegetables and porridge oats. Take your Ireland holiday off shore with a visit to exciting Sherkin Island. This five km long stretch of land includes two pubs, a bed and breakfast, hotel, community centre, church and primary school. Explore the creative personality of the island's unique residents. Special events are also hosted annually, including the popular Sherkin Regatta. Cape Clear Island sits as Ireland's southernmost island. Visitors can reach Cape Clear by boat, which takes approximately 45 minutes per trip. The population consists of 120 individuals. English speaking visitors should note that this is a gaeltacht island, meaning the first language is Irish Gaelic. Enjoy beautiful scenery, pleasant company and excellent bird watching on Cape Clear Island! See some of Mother Nature's most majestic animals with Whale Watch West Cork. This region is one of the most popular for dolphin and whale enthusiasts. Now you can book a tour aboard the twin-engine catamaran Voyager which can accommodate up to 12 passengers plus two crew on each aquatic journey. The Baltimore Sea Safari takes travellers in West Cork, Ireland on an amazing aquatic adventure! Book a whale and dolphin watching excursion or schedule a thrilling boat trip.Sessions range from 20 minutes to a full two hours and includes rare opportunities to spot many beloved marine animals as well as gorgeous water scenery. Heir Island, also known as Hare Island, is a gorgeous stretch of island environment nestled along Ireland's south west coast. Visitors can escape the activity of daily life to immerse themselves in a tranquil setting with plenty of peace, quiet and stunning views. The island includes 2.5 km of breathtaking flora and fauna. 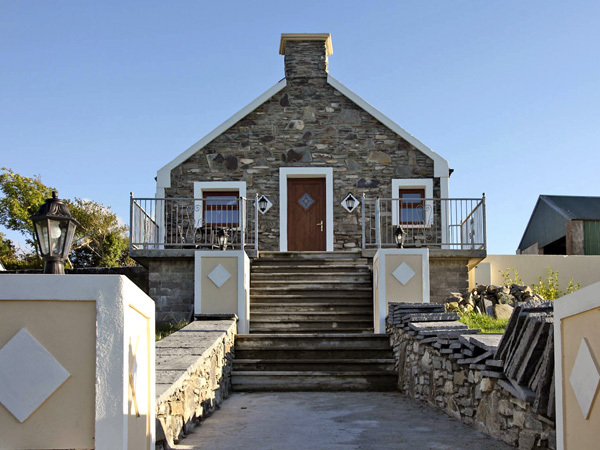 The Island Cottage on Heir Island in West Cork calls itself the "smallest cookery school in the world." This unique attraction offers a wide range of courses, such as practical two day sessions as well as intensive instruction on the intricacies of the culinary arts. A restaurant is also available with private dinner service options. Staigue Fort in County Kerry is one of the biggest ring forts currently standing in Ireland. This fascinating structure rests upon a low rising hill surrounded by rugged terrain with the sea to the south. The remaining wall stands 5.5 metres with a 4 metre thickness. This landmark serves as a beautiful reminder of the solid fort building of long ago. The Allihies Copper Mine Museum (ACMM) offers a unique educational experience focused on an important part of West Cork history. The facility covers 3.500 years of mining and includes the Copper Mine Trail which features a marked path that guides the guest along the mines. Stop by the Copper Cafe for an indoor or outdoor meal during your visit. Derrynane House is the ancestral home of Daniel O'Connell, a 19th century politician who spoke up for Ireland in the British Parliament and who came to be known as 'the liberator'. The house and the grounds are open to visitors and the house itself has been turned into a museum celebrating one of Ireland's greatest politicians. Eightercua contains a dramatic stone row that is recognize as one of the most impressive ancient landmarks in Kerry, Ireland. The highest stone stands 7.5 metres. It is believed that part of the area may have been used for ritual purposes as far back as 1700 BC. Bring a camera to capture breathtaking images of this important attraction and the lush countryside surrounding it. Hutchin's Folly was originally constructed by an American of the same name who had been a part of the Battle of Bunker Hill close to Boston, Massachusetts. Here, visitors can observe the Bunker Hill Monument. There area has a unique magic because of nearby vegetation. Visitors should note that the immediate area is not publicly accessible and may not be visible during the summer months when ivy grows. Mizen Head Visitor Centre includes the Mizen Head Signal Station, built to protect ships and save lives by stopping boats from coming aground on Irelands rocky Western coast. Explore the award winning Maritime Museum to find out more about the signal station and surrounding area. Take in the stunning views from the cliff top and see a wide range of wildflowers as well as local wildlife such as dolphins, whales and seals. The Kerry Bog Village is a recreation of an Irish village as it would have been in the 18th-19th century. The recreation of the site is based on old documents and measurements of ruins to make them as accurate as possible. Visit to learn about the the bog and the wildlife and villagers who lived within it. Since 1986, the Valentia Heritage Centre has been serving the community as a non-profit organisation dedicated to history and lifestyle. Visitors can explore the School Room, Transatlantic Telegraph and Island and Harbour exhibits. Each area offers something unique that will captivate the imagination while educating the mind. Travellers should check with the centre to find out what's on when they visit. Athassel Priory is a ruined Augustinian Priory of St. Edmund and at the time it was the largest priory to be built in Ireland. While it is ruined the remaining parts of the priory are quite extensive and reward time spent exploring. Set in a relatively remote area off the normal tourist trail this priory is perfect for a quiet wander and contemplation. The Fastnet Lighthouse stands proudly atop the Fastnet Rock. Also known as An Charraig Aonair or "The Lonely Rock," this point is as far south as Ireland gets. After 92 lives were lost aboard the Stephen Whitney in 1847, the lighthouse was constructed to protect sailors. Today it serves as a practical structure and breathtaking landmark. The Skibbereen Heritage Centre is located inside a restored Old Gasworks building in one of the most picturesque towns in all of West Cork. Visitors can explore a Great Famine exhibitions which commemorates the most devastating and tragic periods in Ireland's past. The Lough Hyne Visitor Centre offers a closer look at natural marine life in the area. Liss Ard Gardens presents a magnificent view full of lush, natural landscape. This green expanse covers a gorgeous estate that includes Lake Abisdealy as well as numerous ponds and a unique crater land feature. This charming bowl shaped terrain is the work of Swiss architect Gert Burla and American artist James Turrell.